CLOSEOUTS. 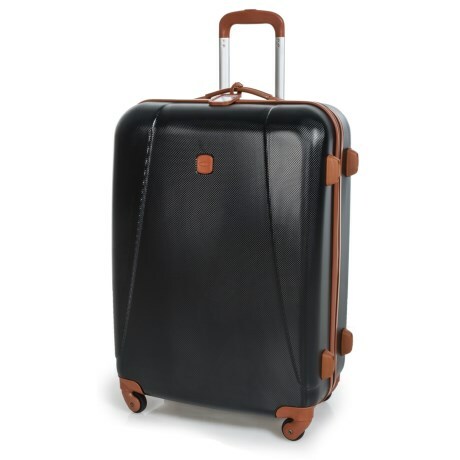 Constructed of durable, ultralight polycarbonate with a textured finish, Bricand#39;s Dynamic 32and" spinner suitcase is a sophisticated oversized piece suitable for extended trips. Available Colors: BLACK/TAN, SILVER.